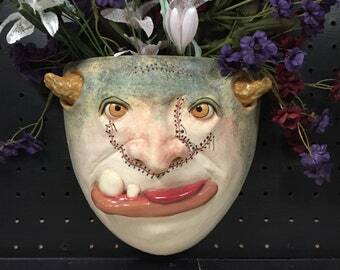 MONSTOSITY FACE JUG - wheel thrown, hand altered and sculpted. Just a lot of friendly little faces to bighten your day. GARLIC KEEPER -Wheel thrown, hand altered & sculpted. Just a friendly body to hold your garlic, or with baking soda in the refrigerator. 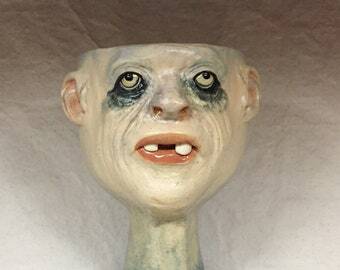 DENTURE CUP - Wheel thrown, hand altered & sculpted. 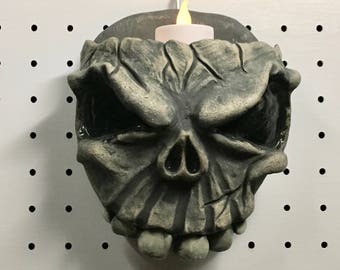 This will hold your dentures and your glasses for you at night while you sleep. GLASS/NEEDLEHOLDER, wheel thrown, hand altered and sculpted. A friendly face to enjoy a beverage or hold odds and ends. HONEYPOT/SUGAR BOWL , wheel thrown, hand altered and sculpted. This honey pot/ sugar bowl also works as a great way to serve condiments. CREAMER - wheel thrown, hand altered and sculpted. Just a friendly face to enjoy with your coffee creamer. REGULAR YARN BOWL - Custom Made - Wheel thrown, hand altered and sculpted. Just a friendly face to join you while you knit or crochet. LARGE YARN BOWL - Custom Made - Wheel thrown, hand altered and sculpted. Just a friendly face to join you while you knit or crochet. CHALICE, wheel thrown, hand altered and sculpted. 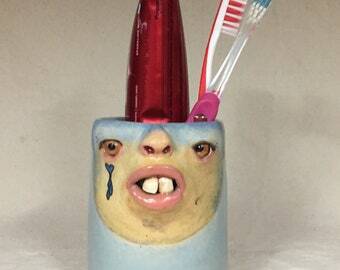 Just a friendly face to enjoy your favorite beverages with. SALT PIG - Wheel thrown, hand altered and sculpted ceramic large salt cellar. HANGING PLANTER - Wheel thrown, hand altered and sculpted. 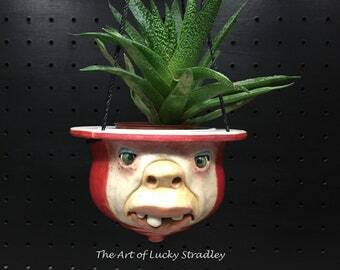 Just a friendly hanging planter to display your favorite plants and flowers. SHOT GLASS -wheel thrown, hand altered and sculpted. Holds 1 oz of your favorite beverage. A great way to use mouthwash or to take medicine. 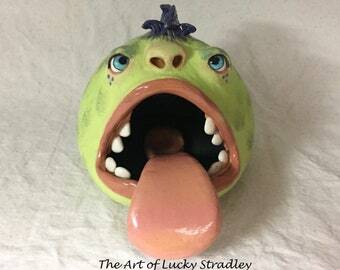 SMELLY EATER - wheel thrown, hand altered and sculpted. What a cute face to take away those smelly things in your refrigerator. 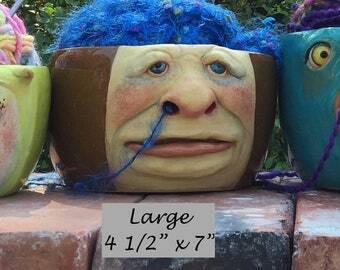 KIDS CUP, NEEDLEHOLDER, wheel thrown, hand altered and sculpted. 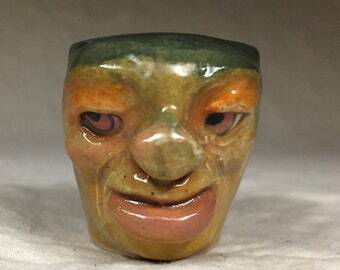 A friendly face to enjoy a beverage or hold odds and ends. EGG WHITE SEPARATOR - Wheel thrown, hand altered and sculpted, stoneware. Baking is even more eggciting by whites coming from the nose. XL WALL PLANTER - Wheel thrown, hand altered and sculpted. 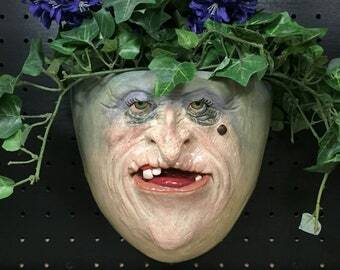 Just a friendly wall planter to display your favorite plants and flowers. INCENSE BURNER or Trinket Box -Wheel thrown, hand altered & sculpted. 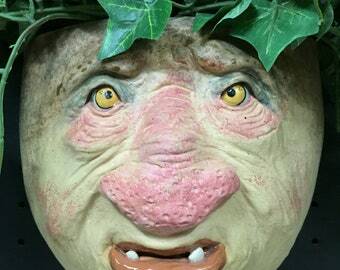 Just a friendly fella to burn and store incense cones. 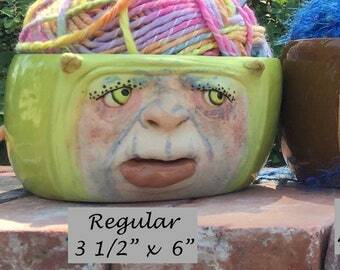 XXLARGE YARN BOWL - Ready to ship -Wheel thrown, hand altered and sculpted. This listing is for the actual bowl pictured. LIDDED BOWL , wheel thrown, hand altered and sculpted. This bowl works as a great way to serve condiments. You may request lid for a spoon. LARGE STEIN - wheel thrown, hand altered and sculpted. Just a friendly face to enjoy your favorite beverages with. Ready to ship -LARGE YARN BOWL- Wheel thrown, hand altered and sculpted. 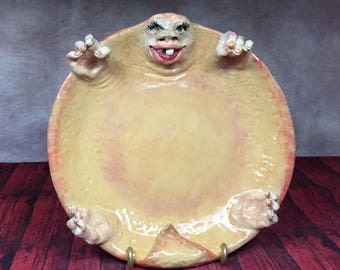 This listing is for the actual bowl pictured.